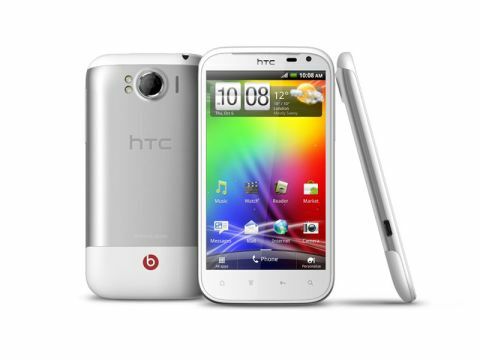 The HTC Sensation XL is a good phone, no doubt, but it doesn't live up to the lofty standards of its Sensation name. Though the Sensation XL's screen has been increased to 4.7 inches from the Sensation's 4.3 inches, the resolution is actually lower. Here, we've got a 480 x 800 display, compared to the 540 x 960 qHD screen in the Sensation and Sensation XE. However, that screen is still S-LCD, meaning that it's bright and vibrant, with excellent viewing angles. To get the back of the Sensation XL off, you need to press a little button at the bottom, and then – rather disconcertingly – need to effectively pull the screen out from inside the casing. It'll bring all the internals with it (don't worry), but it feels very different compared to just popping a flat rear case off, like most other phones.